This past week ( Memorial Day Week ) I had the pleasure to attend First In Flight Jet Rally in Wilson North Carolina. This was my second time participating in this event and I must say that it is a classy well organized Jet event! The event is coordinated by Mr. Larry Lewis and hosted at the Wilson Industrial Air Center Airport · Wilson, NC. A big thanks to Larry Lewis and his crew of volunteers! Also thanks to the City of Wilson for hosting this great event! Although the weather was a little iffy on Wednesday and Thursday it turned out to be a fabulous week of flying and fellowship! This event had some of the best RC Jet pilots in this country flying some of the most beautiful scale and non-scale jets that you've ever seen! Mr. Frank Alverez brought with him his beautiful Skymaster BAE Hawk and his Swedish Saab 35 Draken. The Saab 35 Draken was a Swedish fighter aircraft manufactured by Saab between 1955 and 1974. Photos in my gallery. District 1 was also well represented with myself (Steven Goler), John and Michelle Almeida, and Larry Roper of Boomerang RC Jets. (http://www.boomerang-rc-jets.com/ ) Larry flew a prototype airplane that is called the Baby Turbinator. If flew with a Swiwin 60 that puts out 14 lbs of thrust and moved this plane very fast!! Photos in my gallery also. We saw Jim Brown with his Nicely painted T-ONE Models jet and it flew great. Jim is from Canada and makes it to almost every big jet event in the USA from East Coast to West Coast! Jim is always accompanied by his lovely wife Ann. In this hobby you get to meet people from literally all over the world sometimes! Well as the week ended and I was on my way home it was nice to see a bridge in Connecticut all lit up in Red, White, and Blue to Honor those that made the ultimate Sacrificed to this Nation! Humbling and gave me goosebumps! Time to recharge the batteries and get ready for our own Jet Rally at Plum Island Airport RC Club AMA # 5198. This event will be held June 14th thru the 18th. Father's Day week at Plum Island Airport. This is a great event that is not as busy as some of the bigger venues but we still draw a decent amount of pilots from the East Coast! If you are not doing anything any of those days come on up and enjoy the smell of kero burning from our mini turbines and watch some of great flying! It's All About The Hobby!! Larry Roper of Boomerang RC Jets and myself (Steven Goler District 1 AVP) were invited to visit District 4 Eastern Shore Aeromodelers Club ( http://esacclub.org/ ) for a introduction to RC Turbine Jets to club members and spectators. Larry Roper was invited by D4 Club members Dennis Blades and Tom Perkin. They are two of four members of the club that are currently fling turbine jets at there. Tom was able to obtain his turbine waiver this weekend demonstrating the necessary skill requirements to earn his waiver according to AMA guidelines. Congratulations to Tom Perkin! Special thanks to Dennis Blade for setting this whole thing up with Larry Roper! I was there in two capacities, District 1 AVP and Boomerang RC Jet Rep. I was able to set up my Boomerang XL turbine jet on a buddy box and let some of the members see what it felt like to fly a turbine. Needless to say they were extremely excited and found it not to be as intimidating as the sound of the turbine. The highlight of my training was when a young member of the club named Noah got the chance to take the buddy box sticks and fly around. To tell you the truth I was a bit nervous because I had never seen any of these guys fly but let me tell you Noah took to that jet as if he's flown them before. I guess it's because these millennial's were born with joy sticks in their hands! LOL Larry Roper set up his buddy box also and took up some of the members with his Boomerang Elan. The Elan is just a little smaller than the XL but both fly very easy. While lunch was cooking I asked permission to fly my Chroma (drone) and let some of the spectators and members try it out. Some of the people that never tried one before were a bit intimidated but I assured them that they couldn't crash that particular drone if they tried. They loved it and they couldn't believe that they could view what the camera was showing directly to the transmitter in their hand. I was able to take a small video of the field and layout so that you can see how awesome that the Eastern Shore Aeromodelers Club is to fly at! Here is just a little video of the field and some of the members. Hope you like it because I had the time of my life!!! A Big thanks to the Eastern Shore Aeromodelers Club Dennis Blades,Tom Perkin, and club President Jack Upchurch and all their members! Admin note- See some of Steve's photos at the MA Photo/ Slideshow page. and at the District 1 Facebook Page. AMA Government Affairs has been working on Op Ed pieces to send to various markets throughout the country this spring as the flying season begins. The intent is to shed a positive light on the importance of our Community Based Organization- AMA Safety Code and our stellar record. By highlighting key points and referencing local modelers who are members of the community (voting residents) the hope is to raise awareness and gain positive traction as the federal government reviews the special rule for model aviation later this year. 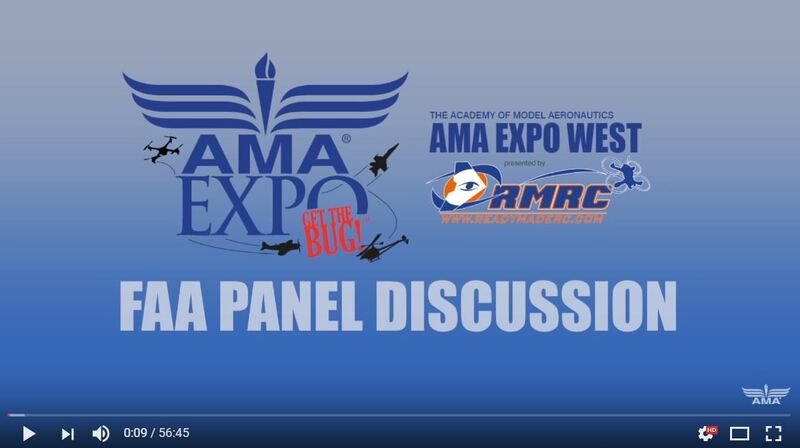 The special rule (commonly referred to as 336) is what identifies AMA as a Community Based Organization and allows us to operate within our safety code and beyond the more restrictive "recommended" practices put forth by the FAA. The often misquoted and misunderstood "400 foot rule" for instance. Please enjoy your season of flying but also keep in mind to be welcoming, informative and positive in sharing this great hobby. Help us put the "Community" back in "Community Based Organization". Fly safe, Fly often and Have Fun! EVENT PROMOTION at DISTRICT ONE WEBSITE AND FACEBOOK PAGE! We have provided several FREE methods for you to increase the exposure for your event. Follow the instructions below to utilize one or more of the following options. >Create a Photo Image "poster/ flyer". Put as much information as you like on it. >Remember less is more and limiting to most important information will limit cluttering. Easy to create on MS Word and save as jpeg! (need some help, let us know). Note that it must be a photo image, type: jpeg, png, gif or tif. >Navigate to the Home Page- click on "UPLOAD"
>Select Browse and find your saved "poster"
>Click Upload and wait. Photo image will be loaded in the folder and on the slide show in a moment or two. >When uploaded you may add captions to the photo. >Done! Image can be selected from the folder, saved, emailed or printed. To spread the word for all clubs when sharing information share the link to this website too. When you include a photo we will hyper link your photo/ flyer/ poster as a link to the Facebook Event. note: Takkng a screenshot of your event and uploading that image to the website homepage as your Flier. This is a quick way to add more exposure. "EVENTS! EVENTS! POST YOUR EVENT..."
*Please try to use the following guidelines when listing your event information. Keep in mind the Poster option above allows you to do whatever you want on the Poster/ Flyer and add captions! Links to your website listing, Facebook page, Facebook Event etc. Please look through existing events for ideas. Thanks for taking advantage of this free service provide to you by your District 1 Team. The more we can share the great events taking place the more the entire District 1 (and beyond) community can benefit. Looking forward to seeing and meeting many new faces at these events. "OPEN CLUB" VS "WELCOMING CLUB"? "Open Club", "Closed Club", "Restricted Club"? Whatever you choose please let's all be "WELCOMING CLUBS"
"We don't want that kind of flying here because :..." "Those darn (fill in the blank with undesirable discipline) are ruining the hobby", "You can't fly that here", "No way man, no (fill in blank)"- Any of these sound familiar? Heard some form of them? Said or inferred any form of them? We're all probably guilty at one time or another. I feel the worst situation is a member comes to fly, they see someone flying the "undesirable discipline", don't say a word to anyone and leave. Fast forward to next meeting or another day at the field with the other "undesirable discipline" flyer not present and the trash talk begins! Problem?- NO communication between the original two pilots, could be as simple as "Hi, I'm uncomfortable flying while you are flying that discipline or in that way, mind if I fly alone?" Likely response- "No problem I can take a break"- End of problem. But in my scenario we have, through rumor and innuendo and lack of good communication created a cancer in the club. "AMA is trying to make us all be open to flying all disciplines, supporting all this (fill in the blank)!" PLEASE "DO"- politely welcome them and even thank them for showing interest. For spectators- put them on a buddy box and get them in the air if possible and (in the case of a modeler) explain your club's position and put the individual in touch with another club in your area who supports the discipline, a District AVP or District VP, (all "Contacts" available at this website) so they can find a match to enjoy the hobby (and its many forms) that we all enjoy. PLEASE "DON'T"- brush them off, scare them off or be rude. It took courage to just walk up to your club field knowing no one. They are there because they are interested in this hobby (and it's many forms) and show an interest in your club. You have no idea what skill sets this individual could offer your club. So, "Open Club", "Closed Club", "Restricted Club"? let's all be "WELCOMING CLUBS"
Fantastic opportunity to do some good by informing and educating. It shouldn't matter who approaches our clubs and members, they ALL need to be treated in a polite and professional manner. Also a great article highlighting member benefits from Bill Pritchet, AMA Eductation Dept. We also have a Most Used and Accessed Documents Page on this District 1 Website for your convenience. BEST PRACTICE FOR FLYING AWAY FROM CHARTERED FLYING SITE! While attending a meeting for the RC Aces in N. Hampton this week a good question was asked by a member. "Where can I and more importantly where am I not suppose to fly my Mavic Pro in the White Mt. National Forest or along the Appalachian Mountain Trail system?" I have checked on "B4UFly" which is an FAA app and on our own interactive search "Map" from this site. I found no restriction but am reaching out to Chad Budreau at AMA Govt Affairs, D1 VP Andy Argenio and D1 Technical/ Safety Officer John Yassemedis for follow up. BLM (Bureau of Land Management) and National Forests are more relaxed in their UAS policies than National Parks and National Monuments. Hobbyists can fly on BLM and National Forest by following AMA and FAA rules and obviously not harassing bystanders or wildlife and avoiding wildfires. The National Forest has created a work group to determine more formalized policies, but at this time there are no universal rules. While a hobbyist may be able to fly at a National Forest, it is very unlikely a hobbyists will have access to a National Park or Monument anytime soon. All requests to fly have to be vetted and approved in DC by the NPS Administration. At this time they are only allowing a very few select commercial operators to fly. The Appalachian Trail is a little tricky as certain sections are managed by the National Park, various local governments, volunteer associations, and the National Forests. Sections managed by the National Park will not permit UAS activities. Sections managed by the National Forest may be more cooperative such as the White Mountain stretch. Here's a Best Practice we recommend when you are flying anywhere. Introduce yourself to any spectators and check for objections. Make sure there will be no "harassing" of people or wildlife. You may just enlist a spotter and create a "pro- drone" fan(s) with a positive progressive attitude which promotes the hobby while respecting the environment, wildlife and others right to enjoy the open space. If we are polite and proactive rather than reactive and defensive we will serve the hobby and all modelers better. You can use this Blog post to access the most current AMA Air episodes. Enjoy! 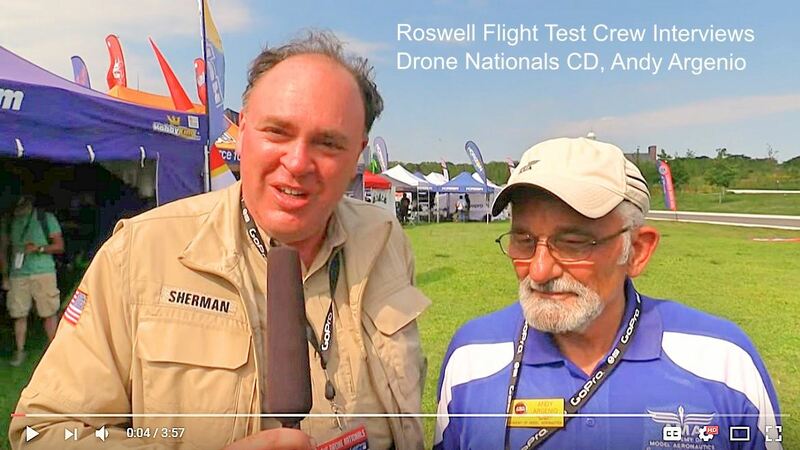 In this episode, the Roswell Flight Test Crew speaks with Andy Argenio, the District 1 Vice President of the Academy of Model Aeronautics, who is also the chair of the group's Advanced Flight Systems Technology Committee. Andy served as the Contest Director for the US National Drone Racing Championship, ensuring that pilots and organizers adhered to the AMA's safety code. Technically an amateur competition, the Drone Nationals were sanctioned by the AMA and all of the pilots who participated where required to present proof of AMA membership. Among them, Argenio saw the same attributes – including sportsmanship and a keen interest in technology – that marked the hobby of radio-controlled flying when he began more than 60 years earlier. Watch the Academy of Model Aeronautics’ Rich Hanson and Chad Budreau sit down with Charles Raley, Senior Attorney for the FAA, to discuss the current regulations regarding UAS. The group covers topics such as airport notification, altitude restrictions, preemption, and more.